What on earth is an "evangelical" in the 21st century, and does it even matter anymore? The term--which in its most basic form refers generally to a belief in the gospel--is often traced back to the period leading up to the Protestant Reformation. During that time, it served to distinguish the high view of Scripture and belief in salvation by grace alone through faith preached by the Reformers against the heresies and abuses of the Roman church. Throughout the years it has been problematic to distinguish the line between Evangelicalism from Protestantism generally, though beginning in the early 20th century it was increasingly used to do precisely that. As the rise of liberalism presented an existential threat to the future of the church by undermining the authority of Scripture, thus corroding the coherence of the gospel message, "evangelicals" clung to the term as a way to preserve unity among like-minded Protestants, while also distinguishing themselves from the so-called "mainline" church. The significance of the old denominational tags had begun to fall apart, so that an "evangelical" Presbyterian, for example, would find more in common with like-minded Baptists than his "mainline" Presbyterian cousins. Thus of necessity was the term adapted to its modern usage. But a century later, the term appears to have lost most of its significance, even in this modern sense. As I noted last year in "The Milky Church", an alarming number of self-identified evangelicals hold to blatantly non-Christian beliefs about such foundational subjects as the way of salvation, the authority of Scripture, and the divinity of Jesus Christ. Moreover, the term has never really broadened to encompass the African-American church. Though certainly a great many African-Americans would fall into the early 20th-century understanding of the word, as a practical matter they never embraced the designation. While the 2008 Pew Survey I referenced in my "Milky Church" post attempts the distinction between mainline and evangelical, it jarringly does so for whites only. The black Protestant population is unceremoniously lumped together. Of course, the fact that much of the visible Southern "white evangelical" church became identified with (or at least tolerated) white supremacist political views in its midst makes this phenomenon unsurprising. The bottom line is that what we're witnessing is the death of a word by slow ambiguity. If I refer to myself as an evangelical, I do so tentatively, as I'm not sure of what exactly the word means to those I'm speaking to. Does it unite me with those whom I should shun, and divide me from those with whom I should unite? "Preach the Word; be prepared in season and out of season; correct, rebuke and encourage—with great patience and careful instruction. For the time will come when men will not put up with sound doctrine. Instead, to suit their own desires, they will gather around them a great number of teachers to say what their itching ears want to hear. They will turn their ears away from the truth and turn aside to myths." Myths and heresies come from within the visible church as well as from the outside, and there must still exist ways to identify where and from whom one might find the truth faithfully proclaimed. With the slow death of the term "evangelical", that task has become harder. The post might be expanded to take account of something C. S. Lewis used in his "Screwtape Letters": There is an entire department in Hell, busy at work at all times to make it impossible for one generation to communicate with either the ones that came before or will come afterward by eroding the meaning of the words they use. 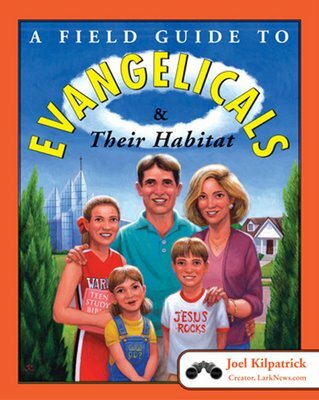 "Evangelical" is far from being the only example. The larger task for the church then, is to recognize this fact and evolve communication methods that don't rely so much on labels and slogans, and then to be prepared to counter the attacks on even those. An example, having to do with slogans: No one who reads "Pilgrim's Progress" could be unaware that Bunyan and his contemporaries would understand that WWJD ("What Would Jesus Do?") flirts dangerously with works-righteousness, and that, unless one bases his use of it firmly on WDJD ("What Did Jesus Do?") and sees it as an expression of "the life of gratitude", one will succumb to that danger, either in sanctimony or in despair. I doubt that this truth would click with most modern "Evangelicals".